Comment: I'm in desperate need of an exterminator to get rid of the rodents around my house who have found a way into my basement. In the past, I've removed a dead rat from the basement. Now there is a death odor again and just recently, a ton of flies!! Comment: A large infestation of bedbugs and mites. They are on each bed, and every crack, carpet and rugs all over the house. Comment: Animal trap for unknown animal caught in unoccupied house and tried to escape. Left every window covering shredded and a horrible mess of things . A hole was Discoved in ceiling going to outside flat roof. It is size of 8 to 10â. Chewed though ceiling in several other spots. ( large birds I Or more likely raccoons or large cat. Olive said to trap set in case it was still inside . Portland Pest Control Services are rated 4.72 out of 5 based on 950 reviews of 19 pros. 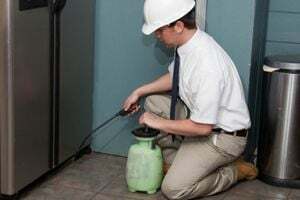 Not Looking for Pest Control Contractors in Portland, OR?